Copyright: Copyright and ownership of photographs remain with the photographer at all times. All entrants agree to grant FotoEvidence permission to use submitted work for promotional purposes in any electronic media, printed materials, or advertising. The use is granted for a period of two years. The Book Award winner and up to four other selected finalists will be exhibited on the FotoEvidence web site and at a gallery exhibition in New York City during the fall of 2014. Awards will be announced by February 15, 2014. Submit online up to 15 images from one project. 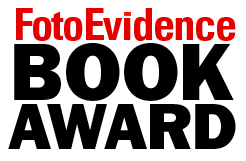 If you are selected for the FotoEvidence Book Award you will be asked to submit 100-120 photographs on the same topic.